From ads that dance or sing to MTV-like commercials, online advertisers are now using a new type of technology called "rich media" to attract consumers. U. Internet advertising revenue will have reached about $12 billion last year, up $3 billion from 2004. Of this, advertisers spent about $1 billion on rich media, up from $800 million in 2003, according to the Interactive Advertising Bureau. So what exactly is rich media? 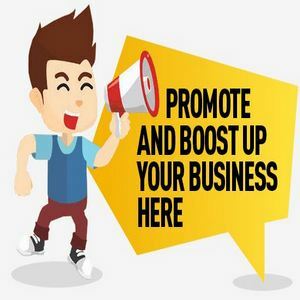 By definition, it is an online advertising technique that combines graphics with audio technologies, giving Internet users an interactive experience. And with more than half of American households connected online and using high-speed connections like broadband and DSL, it means a potentially lucrative way for online advertisers to get consumers' attention. One company taking online advertising to a different level is Centale Inc. (OTCBB: CNTL), based in Fort Lauderdale, Fla. The online marketing and technology firm offers cutting-edge technology solutions to its clients. Centale's premier application, the Catalyst EV, is a software platform that allows companies to communicate directly to the desktop of their audience in rich media format. The software also functions independent of e-mail. To date, studies have shown that e-mail campaigns may be decreasing in effectiveness because as the amount of e-mail increases, the likelihood of success of the solicitation or advertisement tends to decrease. One reason that advertisers are embracing rich media is that it typically entertains and is compelling enough to capture the interest of consumers. It also allows a user a modicum of control by either stopping the ad entirely, or participating in it and clicking through to an advertiser's Web site to get more information. While rich media may not endear advertising to online consumers, most users are finding it less intrusive than traditional pop-up, banner and text-based ads. Centale says there is a favorable market for its product, as the industry shifts away from traditional advertising such as print and radio in favor of online advertising.